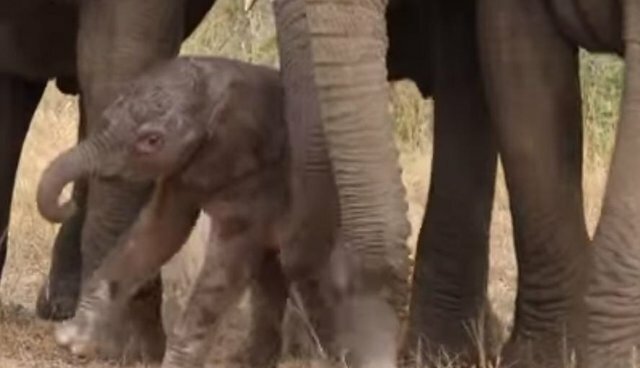 A young creature's very first steps are a life-changing moment for the baby, and for her parents. 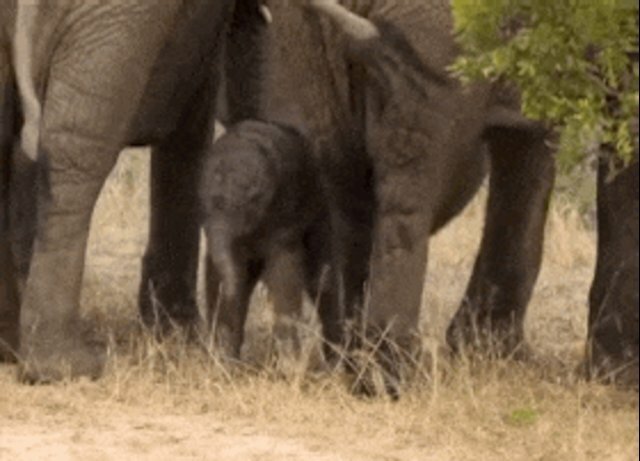 Fortunately for this baby elephant, born just hours earlier in the wild of South Africa, she had all the encouragement a calf like her could ever ask for. 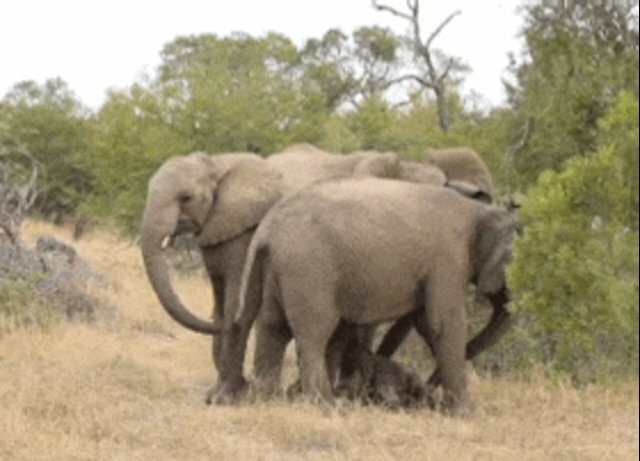 Rangers at the Londolozi Game Reserve recently chanced upon the touching sight of an elephant family gathering to cheer on the wobbly newborn. As the calf readied to practice using her stout little legs, those older relatives danced in a protective circle around her, sounding out their excitement. 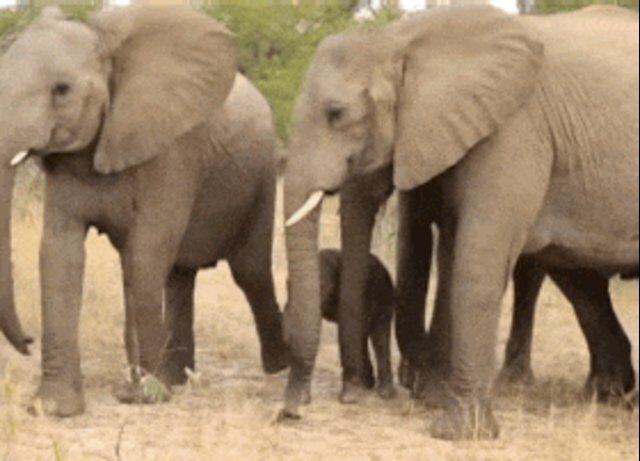 Elephants form some of the closest social bonds in the animal kingdom, and their deep familial love was on full display during the precious scene. "As they jostled around the baby I kept stressing that it was about to be trampled, but their movements were gentle and controlled, and the baby bounced amongst them on new-found feet," writes Londolozi ranger Amy Attenborough. 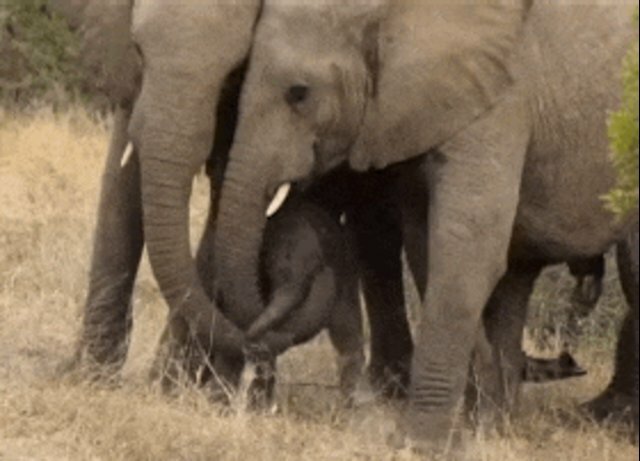 "They also touched their trunks to it tenderly, taking turns to greet the new member of the family, all the while rumbling in the deeply comforting way that speaks to elephants and humans alike." With that grand commencement in full swing, the eager elephant is seen putting her limbs to the test, carrying her newborn frame on its maiden voyage. Sure enough, it's not long after those first steps that the calf is visibly more sure-footed. Flanked on all sides by her happy family, the world's newest elephant makes her way back into the forest. "It is amazing to think that this tiny, defenseless creature will one day be one of Africa's giants - roaming this beautiful wilderness," writes Attenborough. This is definitely one for the elephant family album.